Narcotics: Pain Killer or PAIN itself? Narcotics/Opioids have been used since the beginning of recorded history. Opium is derived from a white liquid produced by the poppy plant, first cultivated in the Middle East and Asia. It was used therapeutically in ancient cultures to induce calm and to relieve pain, and recreationally to induce euphoric dream states. Today, physicians prescribe narcotics for pain relief. Whether plant derived (natural) or synth etic, narcotics are sometimes still referred to as opioids. Addiction to opioids (e.g., heroin, morphine, prescription pain relievers) is a serious global problem that affects the health, social, and economic welfare of all societies. An estimated 12–21 million people worldwide abuse opioids, with 1.9 million people in the U.S. addicted to prescription opioid pain relievers in 2010 and 359,000 addicted to heroin. Consequences of this abuse have been devastating and are on the rise. For example, the number of unintentional overdose deaths from prescription pain relievers has soared in the U.S., quadrupling since 1999. Opioids act on specific receptors in the brain and the body, which also interact with naturally produced substances known as endorphins or enkephalins – important in regulating pain. While prescription pain relievers can be highly beneficial if used as prescribed, opioids as a general class of drugs have a high potential for abuse. 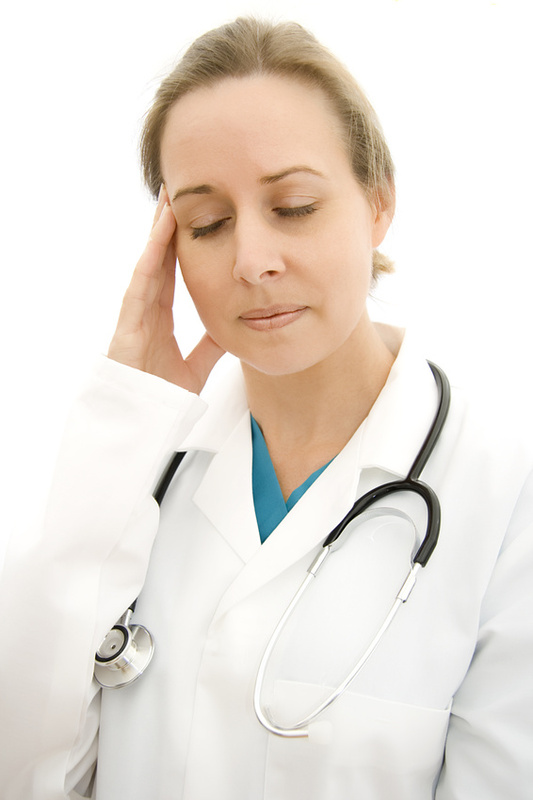 From a physician standpoint, it is very challenging to offer opioids to certain patients. I am constantly seeing patients who come to see me to get pain meds, but get disappointed when I decline their request. When a patient asks me to prescribe/refill pain meds, that is a ‘Red Flag’ right there. If they have a problem, severe enough, that they have to take narcotics, how come they do not complain of pain first. People who do complain of so called ‘severe pain’ do not have a significant evidence to prove their pain. The other ‘Red Flag’ is when patients tell me that no other medications including OTC Tylenol/ibuprofen or prescribed meds like tramadol work. They always have excuses. Unfortunately, internet and social media have given them enough information to fool the system easily. They know what to tell the healthcare providers to bypass the interrogation step. It will be a surprising fact for most of us that Narcotics are not available in a lot of countries. Even if they are in some, they are reserved for post-operative and cancer pain management. So, how come people in those countries survive that much pain level. We provide certain resources in the society without weighing the importance and need for it. We automatically judge that the ‘Supply and Demand’. The US society is bombarded with addictive medications and the consequences are fatal and costly. No wonder, our healthcare system is totally shattered. We aim to spend billions of dollars over patient safety and clinical outcomes. But legally, no significant steps are taken to avoid people from selling those prescription drugs to the innocent teenagers who have a rocky life to face ahead. I get threatened and confronted by a lot of patients when they desire narcotics without any hastle. But as soon as they realize that I will be giving them a good fight, they understand the problems they are in. Counseling helps, but most of the times it is too late. Secondly we do not have adequate resources to help those people in need for care. Genuine patient’s want their pain to be managed well. they do not care what category medications they are being prescribed. We see many physicians getting into trouble for overusing their power to prescribe narcotics. They do not realize the kind of society they are creating. A selfish thought to make money blinds them and they do not see the dangers involved. Personally, I feel these medications should be only reserved for post-operative and cancer pain management. A few other scenarios can be added if the evidence of cause of pain is well established. So, overall, I feel it is more painful to manage pain with narcotics, from both a patient’s and physician’s perspective. 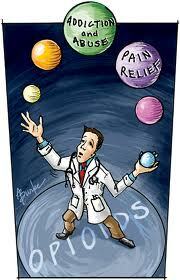 i hope we come up with better pain management drugs soon, to help the society.